The plumbing, heating, cooling and electrical systems in our home aren’t things we stop and think about until they unexpectedly stop working. 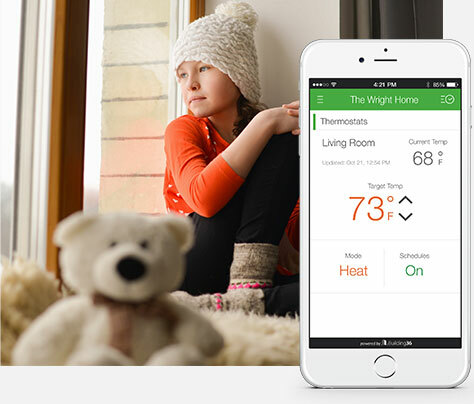 Building 36 provides solutions that allow you to be notified of issues instantly, provide you with the tools to act quickly, and offers an expanded line of home automation products. Learn more about Building 36. 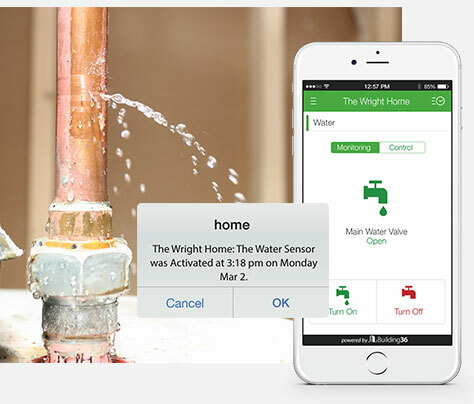 The Building 36 system has allowed me to better understand and control my energy usage by placing all of the information in an easy to use app on my phone. The smart locks, motion sensors and lighting controls are great tools to provide complete home awareness when I am not home. We are thrilled with our smart home, thanks to Building 36. 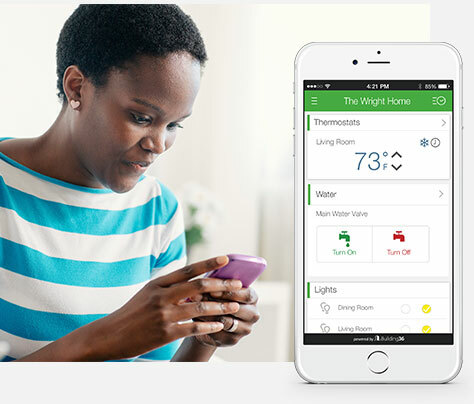 We love the new conveniences, from our timed lights to the ability to lock doors and close the garage with our phones. When we travel, we have more peace of mind knowing we can monitor our house. The app and website are so easy to use and program, making it a snap to make changes. We highly recommend the technology and the service. 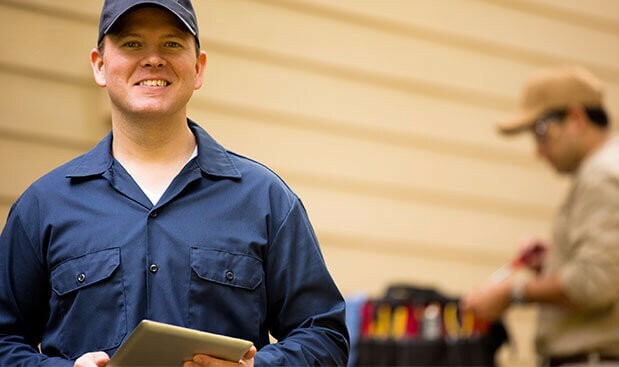 Building 36 Authorized Dealers are licensed plumbers, HVAC technicians, and electricians that have been professionally trained in installing the Building 36 home automation platform. They provide the hardware, install it, and support it so that you’re directly connected to a live line of professional support and a resource for all of your service needs. Learn More.